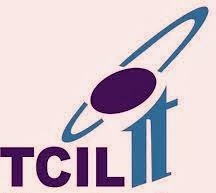 Latest Recruitment 2014 in TCIL for various posts, Latest Jobs in India: -The TCIL or Telecommunications Consultant India Ltd is the one of the famous and leading Engineering and Consultancy Company of India. It is also owned by Government of India Enterprises. It was established in the 1978 in India. So as of now the TCIL has invited the application for the recruitment to various posts in various streams. So now all the eligible and interested candidates can apply for these posts before the last date of application registration. Check below for more details about posts, dates and other. Last date to application form submission: - 3rd Feb 2014. Total number of posts: - 208. · Labor Skilled and Unskilled: - 129. For more details about the recruitment refer the below given link. Click here to know more about the detailed advertisement of the recruitment of TCIL India. Stay connected with us for more updates about Various News, Latest Recruitment, Govt Jobs in India, Educational News of Uttarakhand and other. You may also follow our site by follow tab and Google+. And you can also like us on Facebook to get our all the latest update on your Facebook wall.